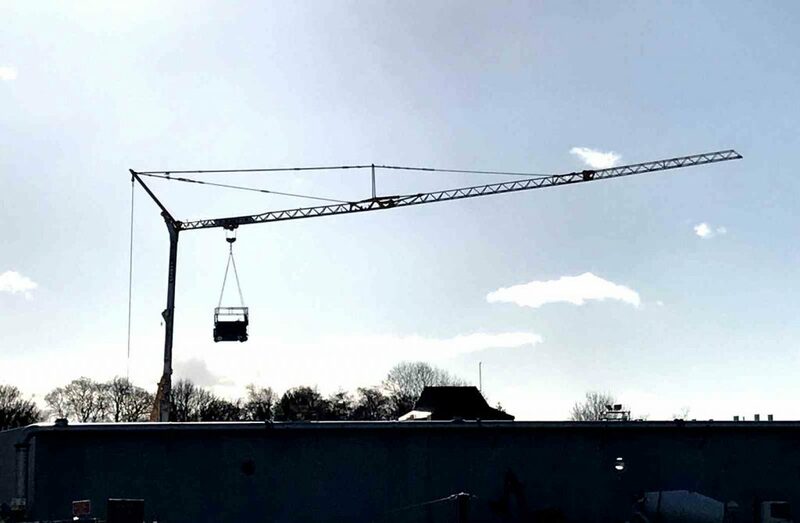 Mantis Cranes currently have a Self Erecting Tower Crane on a Kendal Construction Project and it will be joined another of our Pedestrian Tower Hire cranes this week. The Potain IGO50 was erected on site at the end of 2017 with a 29.6m jib length that can carry 1,000kg at its end. Closer to the tower, and out as far as 13m, it can provide a maximum capacity lift of 4,000kg. The height under hook available is 23.3m. This week it will be joined by a Potain HUP 4030 Self Erecting Tower Crane for at least the next six weeks. This is the newest model on our Tower Crane hire fleet, having been added to our offering in September 2017. It provides a 30m height under hook and can lift 1,000kg at the end of the 40m jib. A maximum lift of 4,000kg is possible out as far as 13.2m on the jib.